***Note: Exceptions include foreign nationals who qualify for 245i or foreign nationals who have received an I-601Waiver of Grounds of Admissibility, or special categories of green card applicants such as U Visa and asylum recipients. Not have entered the United States with the intention of marrying a United States citizen. Prove that they meet the income requirement to sponsor the foreign spouse according to their household size (see federal poverty guidelines). There are several forms that are filed along with the adjustment of status application. In order to fully understand the application process, we will explain the purpose of each form below. NOTE: The immigration filing fees for the I-130/485 are $1,490.00. These fees are SEPARATE from any legal fees that may be charged by your attorney. There are no filing fees associated with the other forms. The G-28 is a form that both the petitioner and beneficiary must sign in order to authorize an attorney or accredited representative to act as your legal representative in your immigration case. The G-28 accompanies each application. If you are not filing your application with an attorney, you do not need to sign this form. The G-325A form must be signed and completed by the petitioner and beneficiary. This form contains basic biographical information including dates of birth, city and country of birth, social security number, father and mother’s names, dates of birth, city and country of birth, city and country of residence, name of current husband or wife, date of birth, city and country of birth, date and place of marriage, information regarding former husbands or wives (names, date of birth, date and place of marriage, date and place of termination of marriage), applicant’s residence history for the last 5 years, employment history for the last five years, etc. It is important to be as accurate as possible. The I-130 petition for alien relative is signed and completed by the petitioner only. This form establishes the family relationship that exists between the U.S. Citizen and the intending immigrant, thereby creating the basis under which the intending immigrant can file for adjustment of status. The I-130 and I-485 forms are the most incorrectly completed forms. Whether the petitioner has ever filed a petition for the same alien or any other alien. The I-485 application is signed and completed by the beneficiary only. 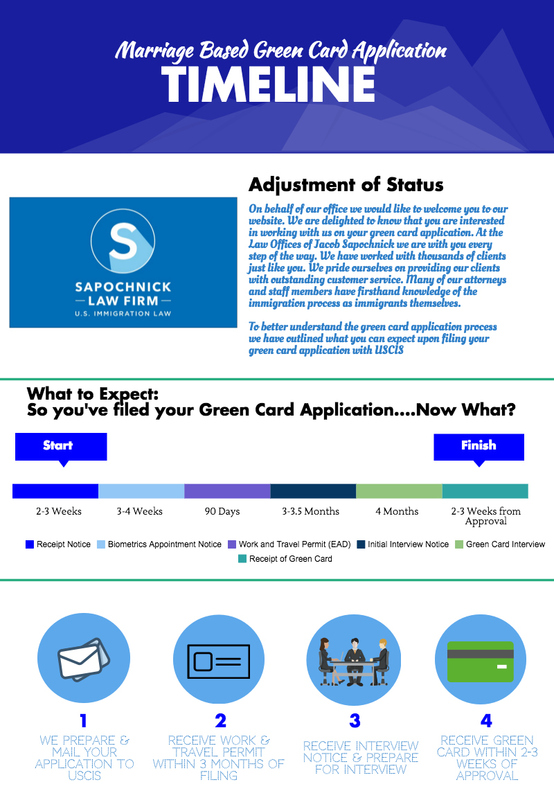 The I-485 is the green card aspect of the application. The I-485 application consists of the beneficiary’s basic information such as address, date of birth, country of birth, country of citizenship, SSN, date of arrival to the US, I-94 number and expiration, USCIS immigrant status, current occupation, mother and father first names, place of last entry into the U.SA. and status the beneficiary entered, nonimmigrant visa number, consulate where the visa was issued, date visa was issued, spouse’s name and date of birth, as well as a series of very important ‘have you ever’ questions relating to immigration violations, criminal activity, and other military involvement. The beneficiary must read these ‘have you ever’ questions very carefully before answering and signing the application. Failure to disclose accurate information may result in the denial of your application. An affidavit of support, (USCIS Form I-864), must be signed and completed by the petitioner of the I-130 for all intending immigrants seeking permanent residence. When the petitioner (U.S. Citizen spouse) signs the affidavit of support, they become the sponsor of the intending immigrant(s). The U.S. Citizen spouse is both the intending immigrant’s petitioner and sponsor for the I-864 Affidavit of Support. The Affidavit of Support is one of the most important aspects of the adjustment of status application. Without it, the adjustment of status application CANNOT be approved. It is also a very difficult form to complete. It is recommended that the petitioner read the I-864 instructions very carefully before completing this form or seek counsel from an attorney. Failure to complete this form accurately and correctly may result in a request for evidence or a denial. The affidavit of support requires the petitioner/U.S. Citizen spouse to demonstrate to USCIS that they meet the income requirements based on their household size to sponsor the intending immigrant. If the petitioner does not meet the income requirements, a joint sponsor must sign and complete the I-864 and provide financial documents proving that they have the sufficient income to sponsor the intending immigrant. The affidavit of support is a legally enforceable contract with the United States government. The affidavit of support ensures to the United States government that your relative/intending immigrant(s) will not become a financial burden on American taxpayers should they fall into financial hardship. A legal permanent resident cannot seek local, state, and government benefits with the exception of Medical, Medicaid, and a few exempt programs outlined below. If a legal permanent resident you have sponsored seeks government assistance, you as the sponsor may be both liable and responsible for reimbursing that agency for monies owed. As a sponsor bringing your relative to live permanently in the United States, you are accepting legal responsibility for financially supporting the intending immigrant(s) until they become a US Citizen or until the intending immigrant(s) can be credited with 40 quarters of work which normally equates to 10 years. You are a sponsor if you have filed or are filing a USCIS Form I-130, Petition for Alien Relative. The obligation of a sponsor ends when the legal permanent resident becomes a US Citizen, dies, or ceases to become a lawful permanent resident and departs the United States. Divorce does not end the sponsorship obligation. If you filed for your spouse’s permanent residence and divorce, you still remain the sponsor unless the above conditions apply. The I-864 requires you to provide basic information such as your name, the beneficiary’s name and mailing address, country of citizenship, date of birth, your mailing address, place of residence, date of birth, country of domicile, social security number, household size (based on your income taxes), number of dependents, sponsor’s employment and income information. The Beneficiary must visit a USCIS approved civil surgeon who will conduct a medical evaluation. The physician will prepare Form I-693 and provide this form to the Beneficiary in a sealed envelope. The Beneficiary MUST NOT open the sealed envelope. The envelope must be opened by USCIS only. This envelope is mailed to USCIS along with the signed forms. Within 2-3 weeks of filing the application, the beneficiary will receive 4 receipt notices (for the I-130, I-485, I-131, and I-765 applications) in the mail indicating that the applications have been received by USCIS and are processing normally. Within 3 weeks of filing the application, the beneficiary will receive a biometrics appointment in the mail scheduling them for fingerprints at an ASC location near them. The beneficiary must attend this appointment for collection of biometrics. Within 3 months of filing the application, the couple will receive their initial interview appointment notice scheduling them for the green card interview. 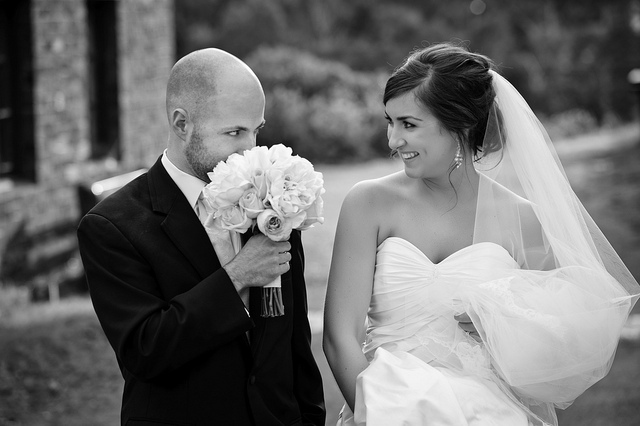 At this time the couple must begin to prepare for their interview and collect any documents proving cohabitation and bona fide marriage (joint lease agreements, joint bank account statements, joint utility bills, photographs of the couple together, joint trips taken, joint insurances, etc). Within 4 months of filing the application, the interview will take place. If all goes well and the couple is approved, the green card is received within 2-3 weeks of approval. If you are ready to file your adjustment of status application, please contact us. It is our pleasure to be a part of your immigration journey.